I have always had a keen concern for the environment, and throughout my adult life I have attempted to limit my environmental footprint as much as possible. 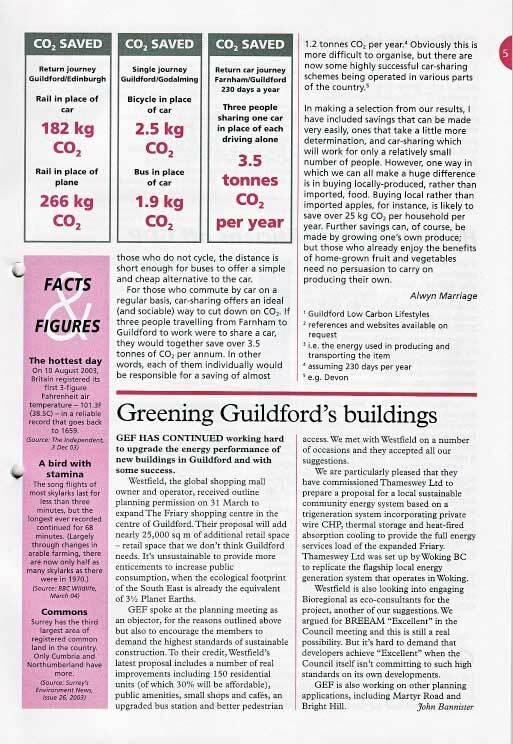 I was certainly not alone in my concern, but through the latter years of the 20th century it was a struggle to get environmental issues taken seriously by the general public; and those of us who thought and talked about what came to be known as ‘green issues’ tended to be associated with eating lentils and wearing sandals. Over the last few years all this has changed, and far from being dismissed as alarmist or extremist, we now find to our surprise that we are considered mainstream. At the dawn of the new millennium I decided that it was time to put my concern into action. I wanted to know more about the science of climate change; to understand what are the risks that the planet is facing; and to discover what, if anything, individuals can do to help alleviate the problem. I therefore enrolled for an MSc course in Environmental Architecture and Advanced Energy Studies at the Centre for Alternative Technology, and over the next couple of years I spent many happy weeks returning to the life of a student, tackling physics for the first time in my life, receiving insights into architecture and the building trade, and running up and down Welsh mountains planting data-loggers, building weird and wonderful structures and making new friends. My thesis, The conversion of derelict agricultural buildings for human habitation, examined how environmentally appropriate it is to renovate old buildings rather than building new ones. During the course I also did research for essays on a number of topics, including: renewable energy; thermal comfort; geothermal heat; noise; relative humidity and healthy buildings; the compact city; and bio-fibrous materials. For one of the assignments I also designed a meditation room for a mountain site. Since graduating I have been kept busy with environmental consultancies and lectures. 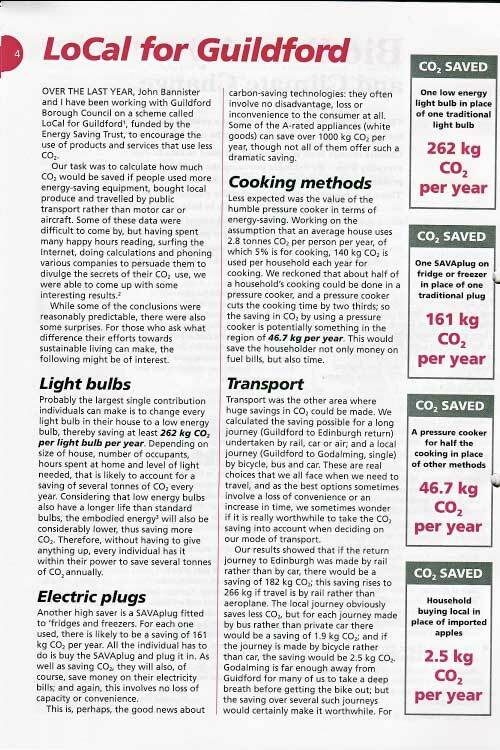 I have done work for Guildford Borough Council and the Energy Saving Trust, first under an initiative called LoCal, then for a scheme called Greenlife. 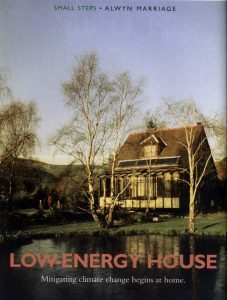 Resurgence no 231, July/August 2005: Low Energy House. I challenge architects and builders to find ways in which to insulate the walls of Victorian houses, which were built before cavity walls were developed. Insulated wallpapers achieve limited results, and make rooms, which are often small to start with, even smaller. There have been various experiments with insulating the outside of houses; but nothing has emerged that will make a significant difference to the vast pre-20th century housing stock. If the UK could find a solution to this problem, we could slash our carbon emissions..
We could save significant amounts of energy if we adopted permanent summer time instead of changing the clocks for winter. Has anyone got any reliable figures or estimates on this?